To this very day the Armenian Genocide, which began within the borders of the Ottoman Empire in 1915, has been vehemently denied by the Republics of Turkey and Azerbaijan. Both Israel and the United States of America have likewise refused to acknowledge the historical reality of the Armenian Holocaust. Why should these nations adamantly persist in their denial of such a well documented crime against humanity? 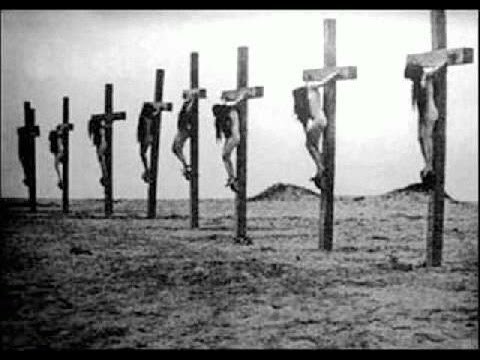 Because 100 years later in 2015 there is now indisputable evidence that the very same countries are perpetrating a similar genocide against the people of Syria, especially against the Christian communities as occurred during the Armenian Genocide. 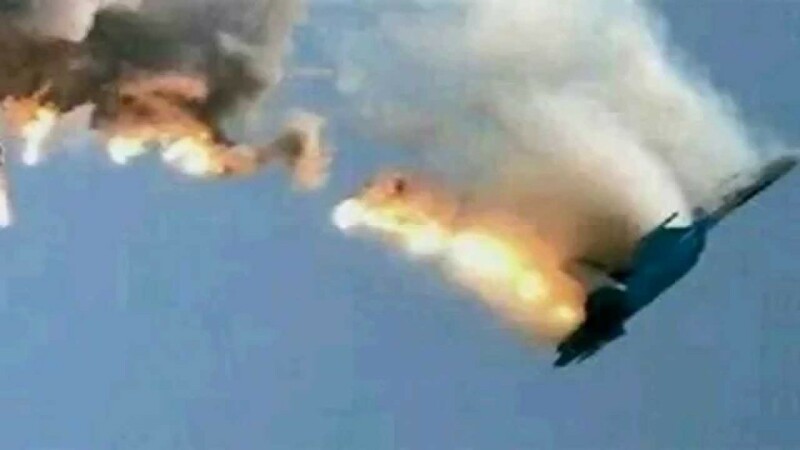 The following photo-documentary presents irrefutable evidence of the genocide of Armenians (as well as Greek and Assyrian Christians), just as the today’s alternative new media have provided similar evidence of the ongoing genocide of the Syrian people. and Syrian Holocaust be properly understood. 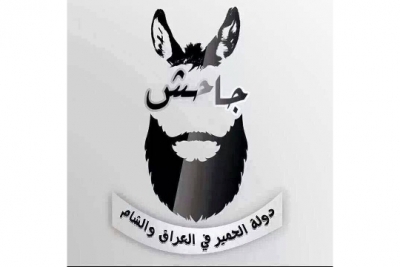 In fact, not a single Arab Spring event has occurred without the fastidious planning and precision coordination of the CIA and MI6, DGSE and MOSSAD. The Western powers not only engineered every rebellion in the Mideast, as they continue to do so, they have been very careful to execute each coup d’état in such a way that the newly installed leaders are always loyal to them, not their respective citizenries. 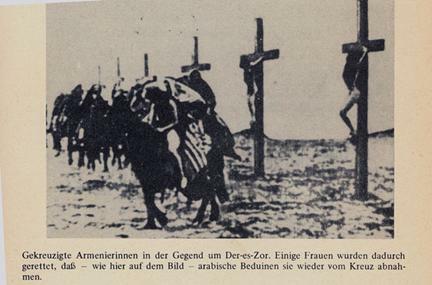 German Caption Reads: “Crucified Armenian women in the region of Der-es-Zor (Modern-day Syria). 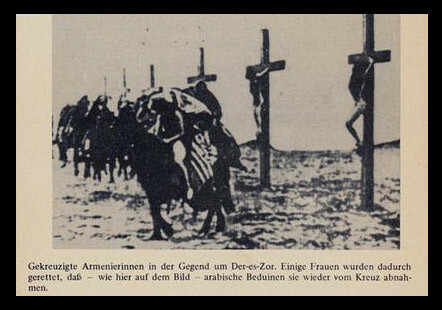 The preceding photo captured the crucifixion of 16 Armenian girls who were killed by the Young Turks working on behalf of the crypto-Jewish Dönmeh that ruled Turkey at that time. 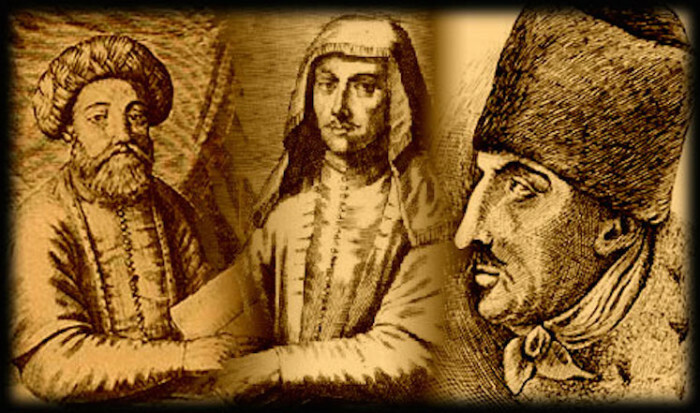 The crypto-Jewish Dönmeh had infiltrated all levels of the Ottoman Empire prior to the engineered election of Mustafa Kemal Ataturk, the first president of the Turkish Republic. 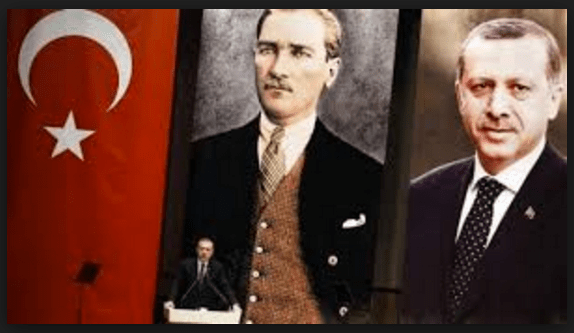 Ataturk has been credited with being the founder of the secular Republic of Turkey in stark contradistinction to the former Ottoman Empire which enjoyed a large Muslim majority as well as sizable Christian population. The purposeful and slow-motion Zionist genocide of the Palestinian people has likewise furthered the cabal’s Greater Israel agenda. Systematically getting rid of those indigenous peoples throughout much of the Middle East is a central component of that agenda. In this particular regard the AAA globalists seek not only to remove the Palestinians from the MSI, but the Syrians from their lands as well. 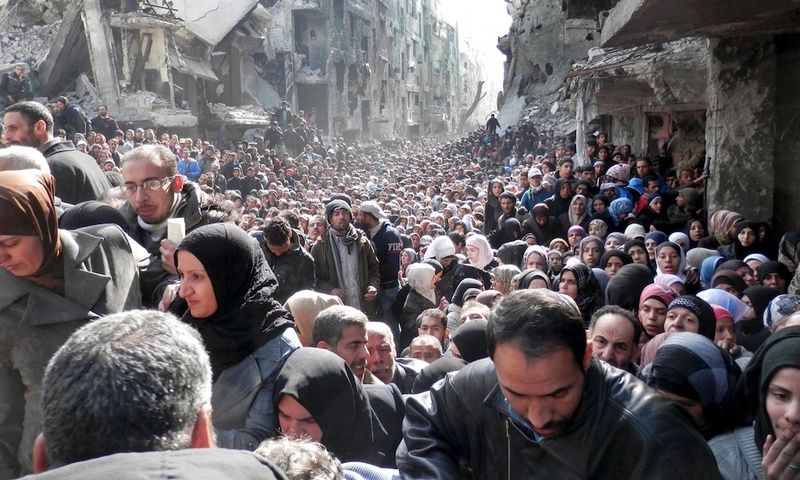 Witness what is perhaps the largest mass migration in modern history of Syrian people to Europe. Irrespective of the fact that the forefathers of Syrians and Palestinians alike have lived in the Mideast for centuries and in Israel over millennia, the Zionist cabal is intent on their removal. 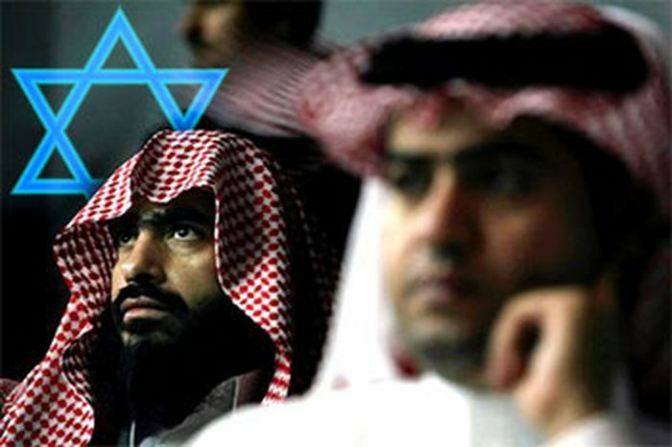 The Wahhabi ‘Muslim’ sect grew from an ultra-conservative Sunni branch of radical Islam unique to Saudi Arabia under the direction of Muhammad ibn Abd al-Wahhab. 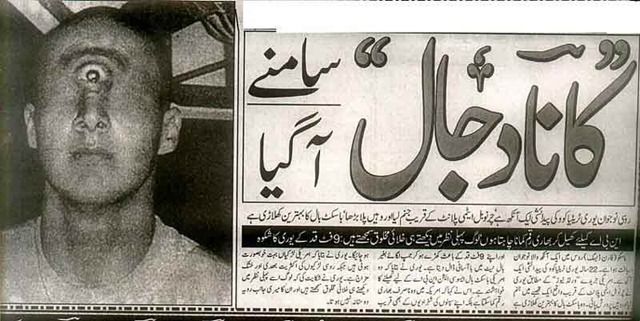 It has since become known as an extremely fundamentalist variant of Sunni Islam which bears very little resemblance to what the Prophet Muhammad taught. 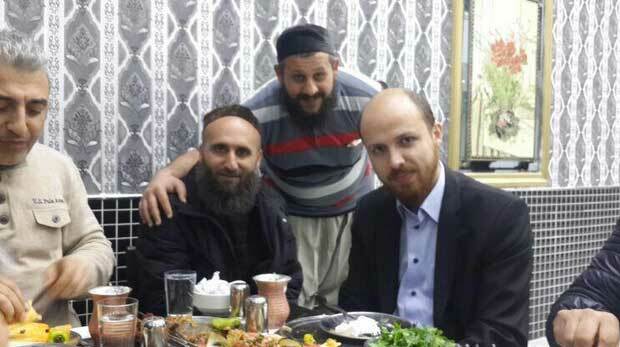 Further radicalization of the hard-core Sunni fundamentalist is the very hallmark of Wahhabism. The highly strategic geopolitical advantages provided to anyone that controls the Levant are quite obvious to the Zio-Anglo-American Axis. The USA, UK and Israel have each eyed this location over decades because of its convenient access to the Mediterranean Sea, easy crossover for oil and gas conduits, as well as massive undeveloped oil and gas reserves. The real problem there for the AAA is that the Russian Navy leases a naval facility located in the port of the city of Tartus. Not only would Russia never give up this leased military installation, they consider President Assad a good friend and protector of the Christian communities. Hence, President Putin had very good reasons to blow up the Greater Israelproject before Syria went the way of Iraq and Libya. The author notes that often times “God writes straight with crooked lines”. In the case of the today’s Middle East, the lines have never been so crooked … and crazy. However, there is always something going on in the background that even those who run the world are completely unaware of. In other words the endless mayhem and madness occurring in Syria and Iraq, Palestine and Libya may be happening in order to produce a specific divine outcome. 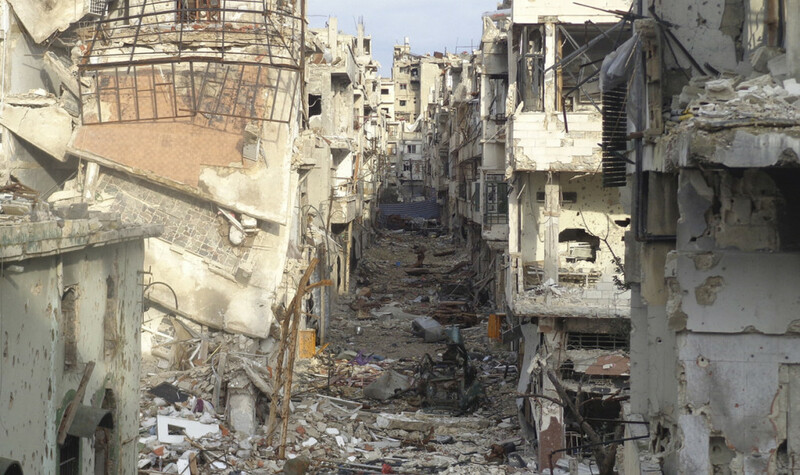 For instance, the mass exodus out of Syria is nothing less than a biblical event. Those folks may have been inspired to vacate what could be a battleground for a future World War III. Much of the Mideast already resembles what many refer to as Armageddon! Therefore, it requires very little imagination to see how things are certainly shaping up to transform a regional war into a full-blown World War III scenario. 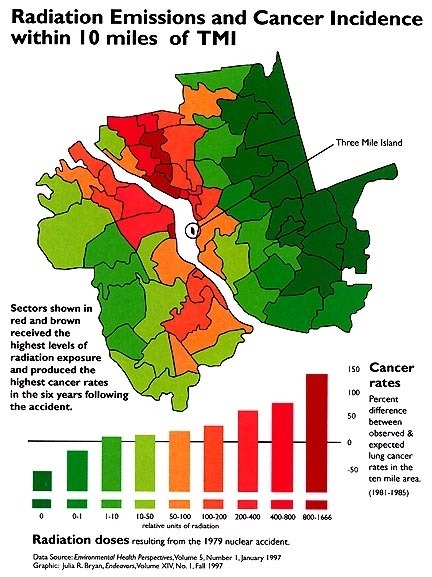 Were nuclear weaponry to be used, who knows how many people would be killed or irreparably injured for life? 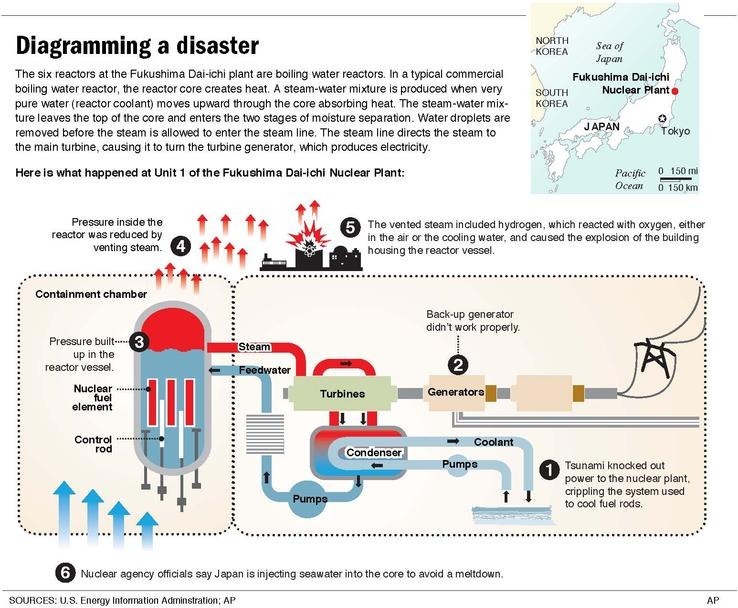 Once used, nuclear weapons would also contaminate the land, water and air for the foreseeable future.